Let's start with what should be an obvious statement. I am not disrespecting your favorite chicken fried steak with this list. No one is suggesting that you give up your favorite place: Whether that's Hickory Hollow, Barbecue Inn or even Saltgrass Steakhouse (surprisingly delicious, honestly). However, the old timers aren't the end all be all when it comes to the Texas classic. 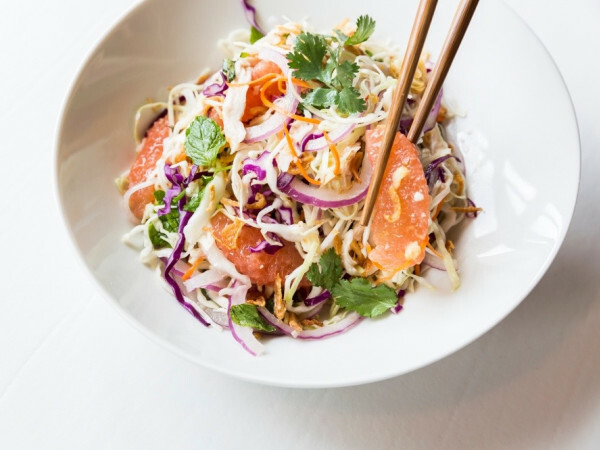 A group of chefs from across the Houston area have brought their own ingenuity to the celebrated dish, and, good news, they're delicious — certainly delicious enough to break out of a rut and give them a try. On the one hand, it seems ridiculous to drive to Pearland and stand in line for an hour without ordering barbecue at Ronnie Killen's temple of smoked meat. 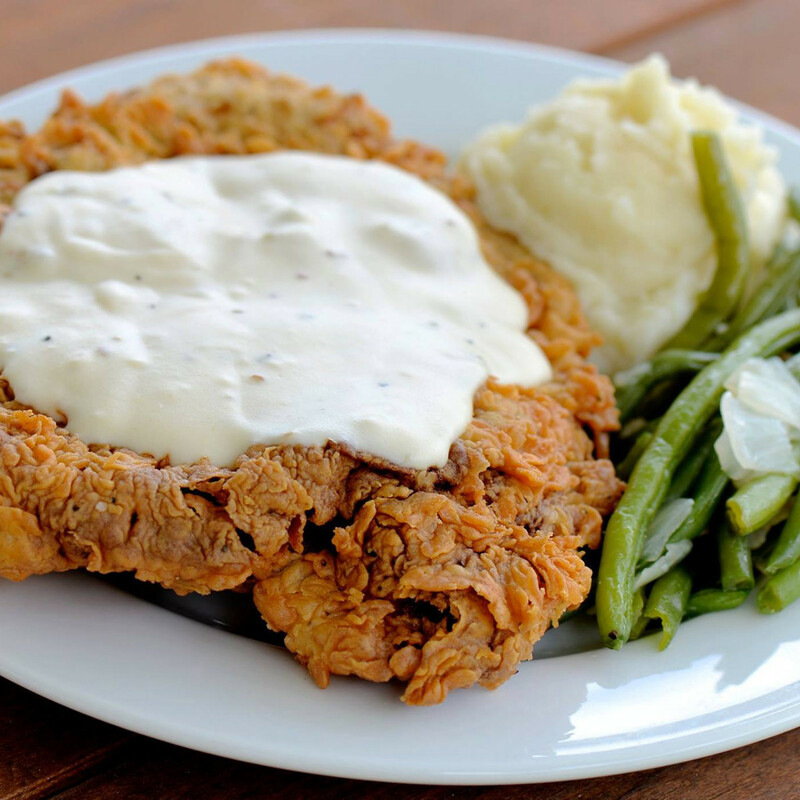 On the other hand, this Tuesday-only special might be the best chicken fried steak currently available in Houston. The old timers aren't the end all be all when it comes to the Texas classic. Yes, even better than the celebrated one at Frank's Americana Revival. It's perfectly crispy, fork tender and uses bacon fat in the gravy. At only $13.95 for the entree with two sides (don't miss the creamed corn), it's also a good deal. Besides, how long can the line be on a Tuesday, anyway? 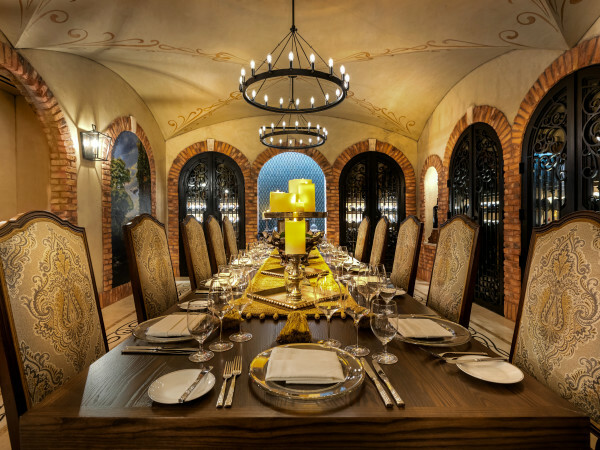 Although the centerpiece of the latest concept from the Pappas family is the hand-cut steaks, the comfort food section of the menu offers plenty of interesting choices. The Pappas Meat Co. chicken fried steak improves on the already celebrated one at sister restaurant Dot Coffee Shop with a flavorful crust and top-notch gravy. Pair it with one of the restaurant's frozen cocktails for extra deliciousness. Perhaps no dish on the menu better illustrates The El Cantina's twisted Tex-Mex installed by executive chef Lance Fegen than the chicken fried steak. Instead of being battered in flour and topped with gravy, The El crusts its meat with tortillas and tops it with chile con queso. Feeling really indulgant? Order the "cowboy style" combination plate that comes with half a chicken fried steak (more than enough) and an enchilada filled with smoked jalapeno sausage. The Creek group may have altered some aspects of the Montrose bar's design (and improved service), but chef Jason Kerr's menu remains intact. 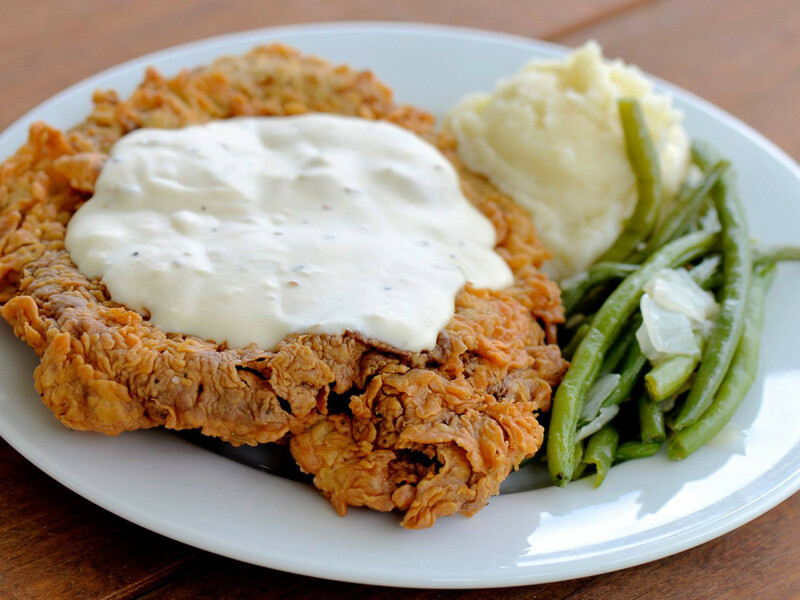 The generously-sized chicken fried steak comes topped with bourbon-spiked gravy and is served with creamy mashed potatoes and crispy green beans. It's a solid, stick to your ribs dinner, that goes great with one of the local craft beers Lowbrow features. Vegetarians takes note — the black bean burger patty can be served chicken fried too. Celebrated restaurateur Tony Vallone isn't usually associated with providing a good deal — a fair price for well-prepared, high quality ingredients, sure — but the chicken fried steak at upscale steakhouse Vallone's is flat out cheap. The chicken fried steak at upscale steakhouse Vallone's is flat out cheap. The lunch-only entree costs just $9.95, and it even comes with mashed potatoes. That's not for some skimpy portion either. The Vallone's chicken fried steak is sufficient to satisfy even a hearty appetite. 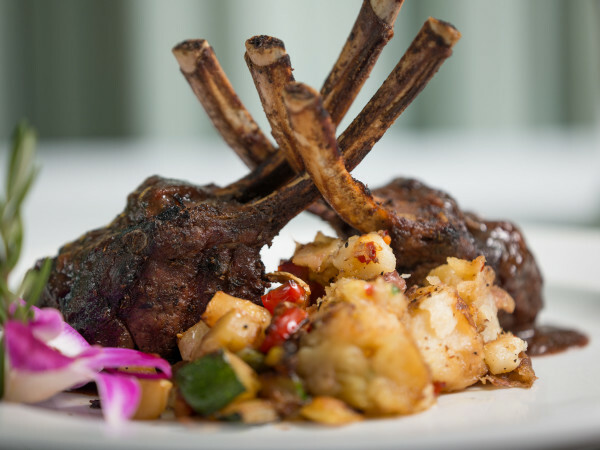 The beef is still as tender and flavorful as one would expect from a steakhouse. Although it won't celebrate its first birthday until May, The Republic Grille has emerged as one of The Woodland's most reliable sources of Texas comfort food. The light, crispy batter gives the Angus beef a welcome crunch. Texas-sized appetites may want to spring for the large, but the regular portion is more than enough for most people, especially since it includes two sides.